The Food Safety and Standards Authority of India (FSSAI), established under the overarching legislation, has laid down science based standards for manufacture, storage, distribution, sale and import to ensure safe and wholesome food for human consumption. 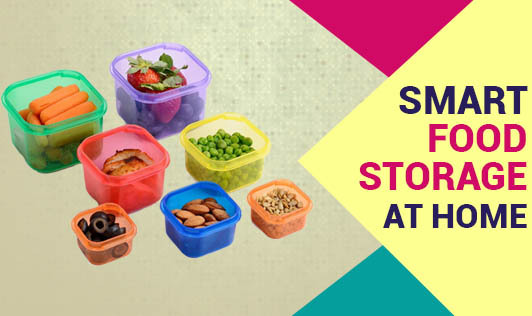 Food storage at home also has to lay with some methods to lead a healthy life. •Eggs should be stored in their original cartons and kept in the refrigerator. They should be consumed within 4-5 weeks of their packaging date. •Fresh fish should be stored in the refrigerator and consumed within 1-2 days. Frozen fish and seafood can be stored in the freezer for 3 to 6 days. However, frozen shrimp can be stored in the freezer for about 3-4 days. •Wrap meats in moisture-proof and airtight packaging and store them in the freezer. You can store whole cuts of meat this way for 4-12 days and ground meats can be stored for 3-4 days. •Poultry can also be stored this way in the freezer for about 3 - 4 days. •While storing milk, make sure that it is tightly closed before putting it in the refrigerator. Milk can be safely stored for about 8 days. However, its shelf-life can be more depending on the date of manufacturing and the storage conditions at the grocery shop. •Mostly fresh vegetables can be stored in the refrigerator for about 5days at a temperature of 40°F (-4.4ºC) and humidity levels of 95-100 %. •Frozen vegetables can be stored in the freezer for about 8 months. •Storing fresh fruits in ventilated covered containers in a separate storage area in the refrigerator helps in extending their shelf life and prevents them from absorbing odors from other foods. •Dried fruits can be safely stored at room temperatures for about 6 months if unopened. •Packaged food such as flour, sugar, cereals, and rice should be transferred to an airtight container as soon as they are opened. The shelf-life of whole wheat flour and raw white and brown rice can be extended by storing them in the refrigerator. •Keep food storage areas clean and dry. •Packaged foods stored at room temperatures should always be stored about 6 inches from the ground and away from the walls. •If there are any doubts about the storage or expiration of foods, especially canned foods, discard them immediately. •Practice FIFO (First-In-First-Out). Placing recently purchased items behind the existing food items can help you practice this principle easily. 1.Clean your hands, kitchen and dining surfaces regularly, and before handling food. 2.Cook foods to proper temperatures to avoid bacterial contamination. 3.Refrigerate and re-heat appropriately to prevent spoilage.